It's that time of year again, Coachella is upon us! The Pixies and The Strokes lead singer Julian Casablanca have been added to an already stellar lineup and will play the Mohave tent on Saturday. The Pixies have a new album called Indie Cindy due out at the end of the month featuring 12 brand new songs so Coachella attendees are sure to be getting an earful of the material in advance. Casablancas is also embarking on his first solo project and will use his stage time to test the waters with fans. The main stage will be hosting Outkast on Friday night, Muse on Saturday night and Arcade Fire on Sunday night. Other acts that have gotten festival goers excited include Ellie Goulding, MS MR, Chromeo, Brian Ferry, Skrillex, Bastille, Mogwai, Lorde, MGMT, Foster the People and The Naked and the Famous. 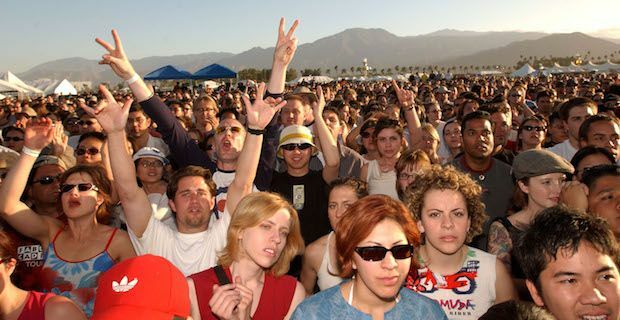 Coachella will run for 2 consecutive weekends starting with this weekend and again on April 18th, 19th and 20th. Promoter Goldenvoice has published set times for all the acts at www.coachella.com/settimes so head there to plan out your assault on the festival. The Pixies have a busy year and they have already been announced to play Glastonbury 2014. They have not played the iconic UK festival for 25 years and their return will delight fans in the UK.